Qatar maybe a good place to smokers who are into quitting their beloved cigarettes. Smoking is one of the hardest habit to stop when people get addicted to it such many Filipinos have made broken promises to stop smoking, cigarettes are highly irresistible but going to Qatar could be a big help. The Embassy of Qatar based in the Philippines had already advised the Filipino government on the said ban on tobacco products as well as equipment or materials in producing or using tobacco. Electronic cigarettes or commonly known as vape. Swaika is a kind of tobacco made substance that can be taken by chewing, absorption, and inhalation. Any similar product or made in any form of tobacco. Even advertisement, sponsorship, or promotion aim to introduce tobacco product is highly prohibited. So, "don't even think about bringing cigarettes with you" as the Philippine Overseas Employment Administration (POEA) warned OFWs. The ban of tobacco is supported by Qatar’s Law No. 10 of 2016 on the Control of Tobacco and its Derivatives. The law has strict procedure both in import and use of products made from tobacco. Anyone who found violating the law will face legal consequences and liable to imprisonment term not exceeding six months and a fine not exceeding QR100,000. You should never carry any these tobacco products while entering and traveling Qatar. 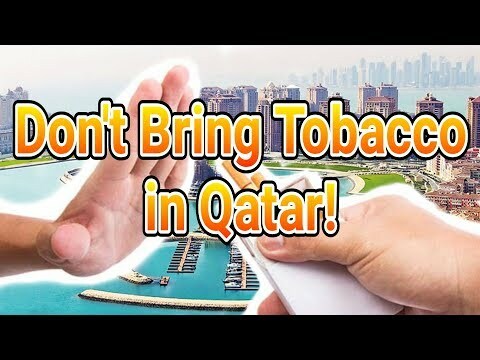 Thank you for reading Why OFWs Should Never Bring Tobacco Products in Qatar posted on the website Kwentology if you want to redistribute this article please include the link as the source. Have some kuwento to share? Contact us!